The easy way to remove corks. 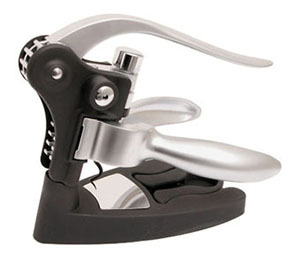 This stylish corkscrewcomes with its own stand wich also holds the foil cutter. Includes a foil cutter, extra screw and stand. Supplied in presentation box.